Manchester University Press, 9781526127358, 304pp. The Arab-Israeli conflict cannot be properly understood without considering the larger context of the Cold War. 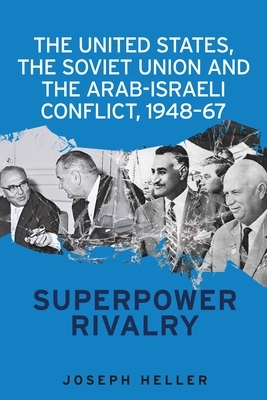 This book provides a comprehensive analysis of Israel's relationships with the United States and the Soviet Union from 1948 to 1967, showing how the fledgling state had to manoeuvre between the two superpowers in order to survive. Collating information from hundreds of sources, many of them unavailable to the general public, it will be of great interest to students and scholars in international relations and political history, but also to the general reader, providing as it does a wide perspective of both Israel and the Arab countries and their interaction with the superpowers.